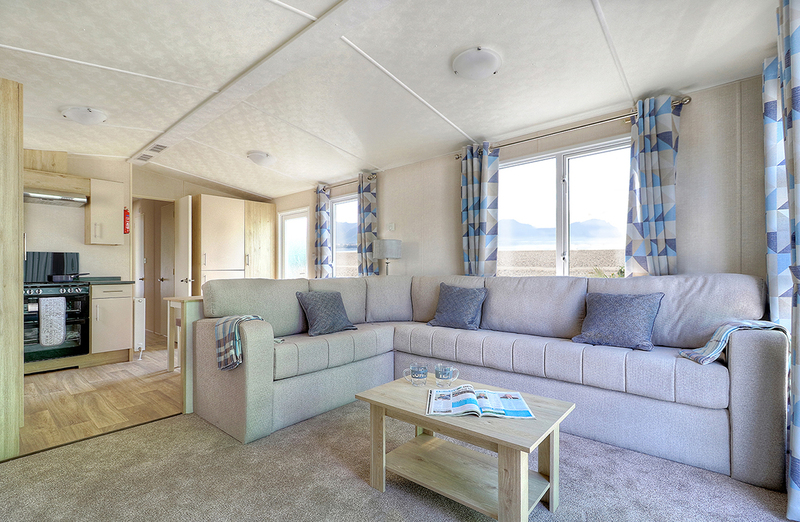 The Atlantic holiday home has a great price point to suit all budgets, whilst retaining the quality of an expertly made home. 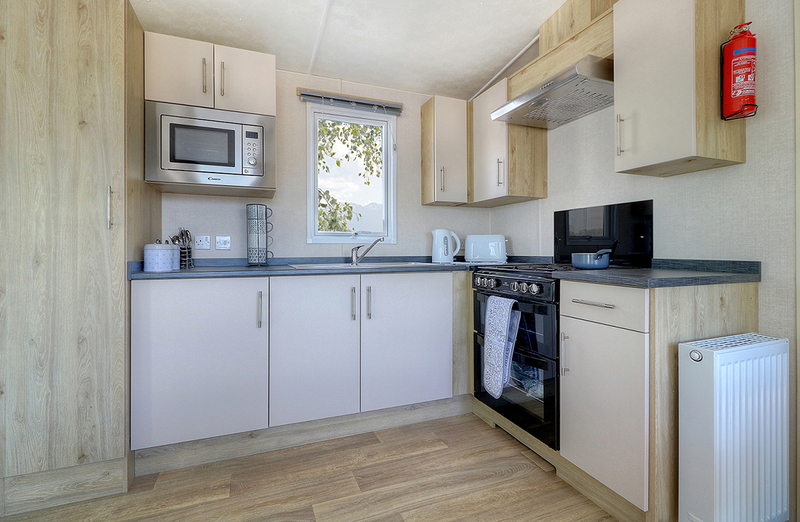 The practical interior is designed to last through the day to day living of a hectic family as well as providing a place to relax in with comfortable surroundings. The lounge area offers fixed upholstered seating as well as a dinette seating area with bench. Also in the lounge there is an electric fire to snuggle up in front of on the colder nights, a coffee table to house those endless mugs of coffee as you watch the world go by from your window. With wood effect units and contrasting work surfaces, this modern and light kitchen has all the practicalities of cooking for a family or couples alike. With the open plan area connecting to the lounge, this makes for a great family atmosphere making it a versatile area for cooking and relaxing with the family all at the same time! 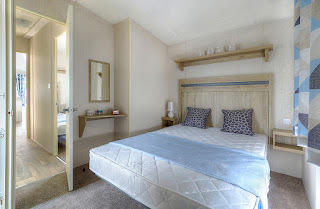 With nice and airy bedrooms, with bedside shelves and over the bed shelving area and fitted wardrobes making lots of practical storage areas for clothing and those trinkets to make this lovely holiday home your own. This is just one holiday home we have to offer you, we can also order any holiday home that you may have in mind to buy. The choices are endless!! Here at Whitby Holiday Park we have a vacant pitches for you to choose from. The location we are very lucky to be in has the added benefits of views out to sea and also overlook Whitby Abbey and beyond to the North Yorkshire Moors. Being just a short 20 minute walk along the Cleveland Way to Whitby town centre, there is no need to drive! What more could you ask for than a stroll along the cliff tops to the Abbey and then take in the breathtaking views of the harbour and the rest of the Whitby and down towards the next little village of Sandsend. All our facilities on Park - Galleon Bar, Cafe, Shop, Laundrette, Dog Shower means if you didn't want to leave the park and have a lazy day then you don't have to! With all these amenities at hand for anything you may need or have forgotten, you can relax all day long! Whitby is a beautiful place to come and spend your free time at. There is plenty to see and do in the surrounding area too. So as you can see there are lots of things to see and do, as well as making some more special memories along the way for all the family to remember. 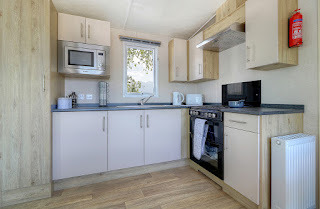 If you would like to come and view our park and what we can offer you as an owner of a holiday home, then please give our office a call on 01947 602664 or contact Sue on sue@whitbyholidaypark.co.uk or Claire on info@whitbyholidaypark.co.uk.